Essilor International is the official global supplier of ophthalmic lenses to the Special Olympics Lions Clubs International Opening Eyes program. Essilor, the world leader in ophthalmic optical products, first agreed to support Special Olympics' vision health program in 2002. 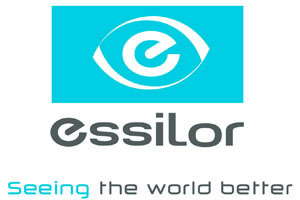 Essilor International is a global leader in ophthalmic lenses. Prior to that, Essilor had been involved in Opening Eyes on the local level, but the company was proud to sign on as the exclusive official supplier of ophthalmic lenses for the initiative. "We see this relationship as a win for Essilor and Special Olympics," said Marc Alexandre, Director of Essilor's Medical and Professional International Relations Department, "but more importantly for eye care providers whose expertise is critical to us. Along with our efforts to develop prevention and eye care education, [Opening Eyes] events are perfect opportunities for health care providers and students to gain practical, hands-on training about the needs and care of this population. Essilor will help eye care providers who volunteer at Opening Eyes events improve their clinical skills and have their attitudes about people with intellectual disabilities transformed." Paris-based Essilor International offers a wide range of lenses under the flagship Varilux®, Crizal®, Airwear® and Essilor brands to correct myopia, hyperopia, presbyopia and astigmatism.